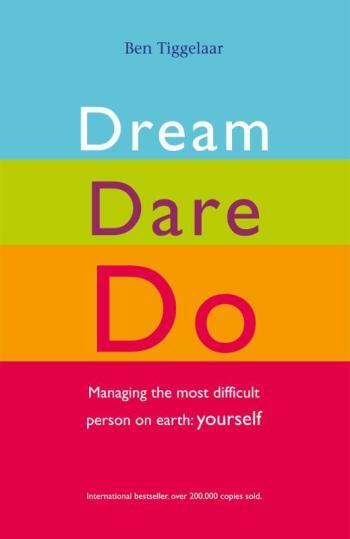 Everybody has dreams related to work, relationships, health, personal development But what is needed to change the phase of dreaming, into daring and finally into doing? What is the secret of real, permanent change? -Why do we find it so hard to change? -What determines 95% of your behavior (without you noticing it)? -How do you develop new, effective habits successfully? Ben Tiggelaar gives clear answers. Based on current psychological insights, practical experience and personal stories of people who have learned with ups and downs to manage themselves. Ben Tiggelaar is an inspiring trainer and writer in the field of human behavior and change. You will find his books and ideas extremely practical, very realistic and fun to read! Marshall Goldsmith, author of What Got You Here, Won't Get You There and Secrets of a Leadership Coach What readers are saying: Ben Tiggelaar is truly able to inspire people. He combines theory and practice in a highly professional way. If you really want to change you will just have to do it. That's what we say. What we think. And we usually do not do it. With this clear book you will have a large chance of succeeding. A breath of fresh air... After reading this book there is only one thing left: roll up your sleeves and follow your dreams.